Sunday 15th June 2014 – that day was stolen from my life somewhere over the Pacific. 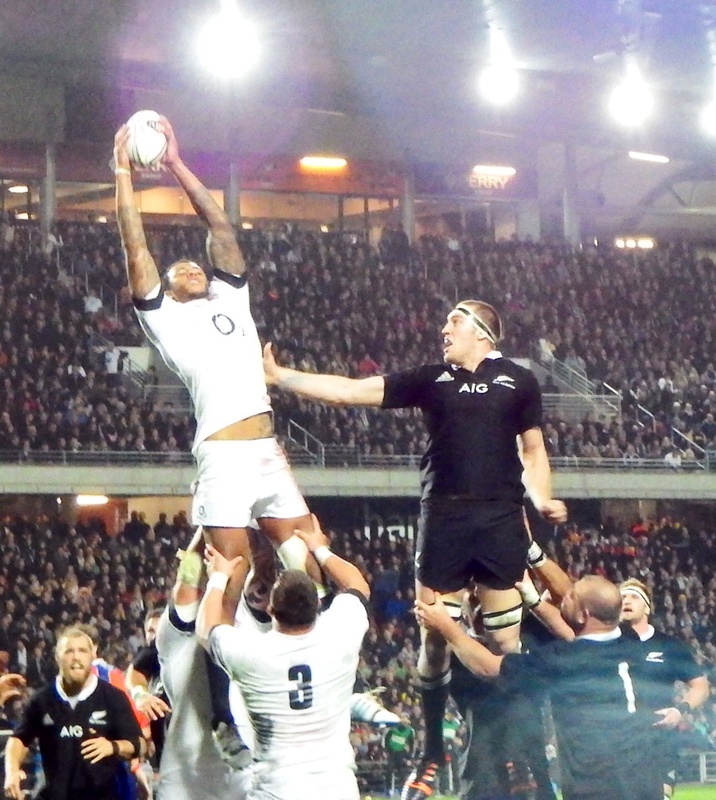 So once I arrived in New Zealand, I thought I’d better make up for it. A few seconds of sinus pain were followed by a few seconds of serenity. Then came a few seconds of bewilderment – on the river below my head, staff were shouting up at me and telling me to grab hold of a pole, (apparently it helps them pull you to safety). 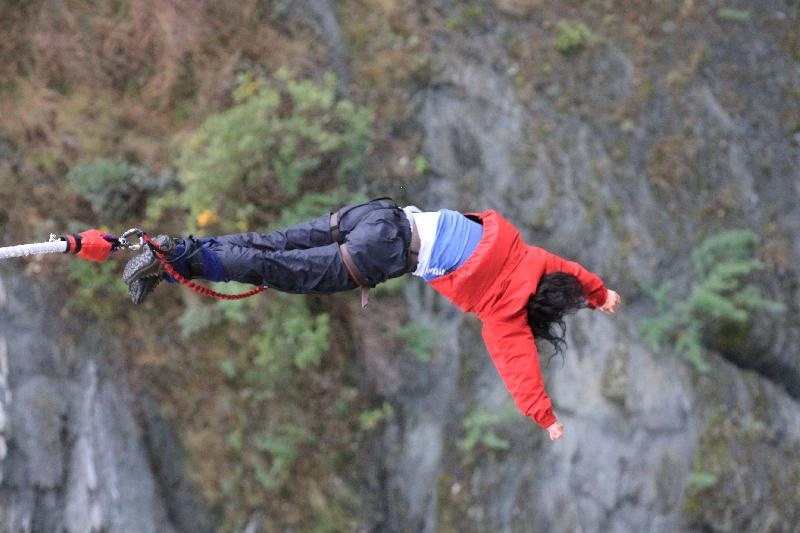 Kawarau Bridge in Queenstown is the site of the first commercial bungy jump in the world. It marked the end of a three week trip where I’d met some of the most hospitable people in the world and seen some of the most dramatic landscapes in the world. It all started on the North Island. I battled the jetlag by taking a long walk around Auckland. 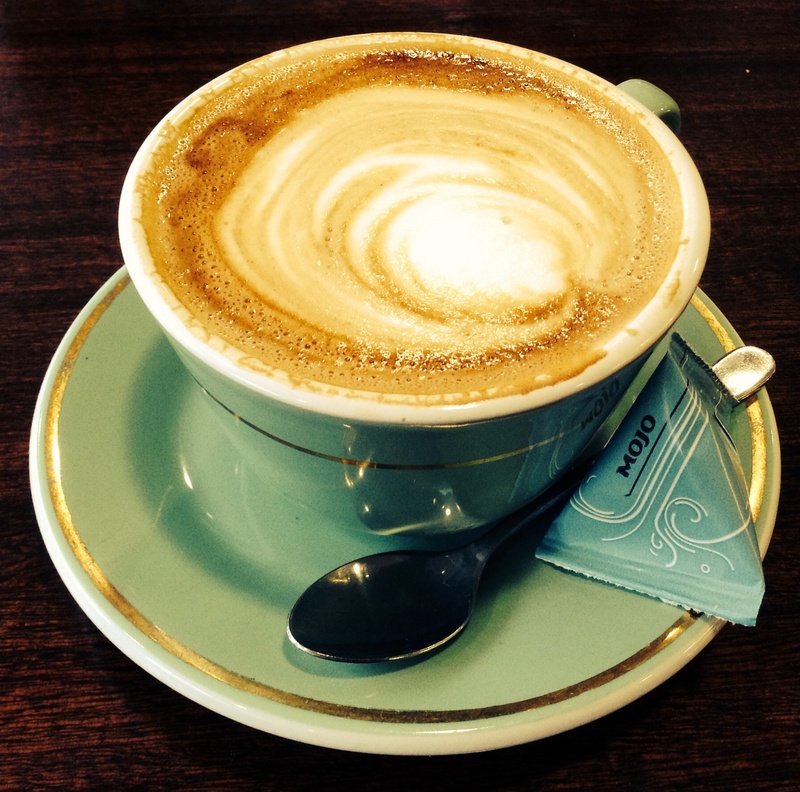 I started at the Wynyard Quarter, strolled around the fish market and went up to Victoria Park Market for a coffee. After my second, I climbed up Franklin Road and into Ponsonby. There were dozens and dozens of coffee shops, (can you see a pattern emerging in this part of the world?) boutiques and beautiful wooden villas. 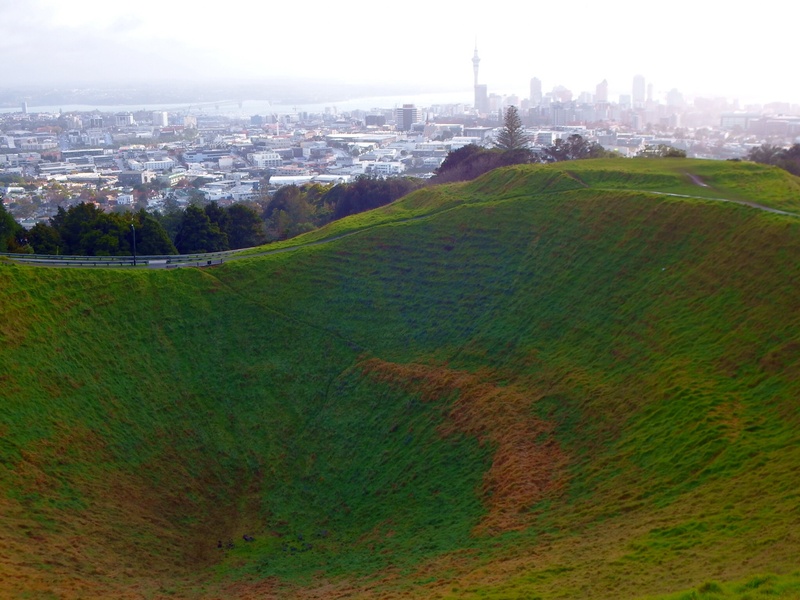 The best views were from Mount Eden (above) which is the highest volcano in the city. There are beaches too. The next day, I took a bus down to Mission Bay and looked out towards Rangitoto Island. Auckland Art Gallery is also worth a visit, just for Lindauer’s and Goldie’s Maori portraits alone. Have you ever seen anything like this before? It’s the Champagne Pool at Wai-O-Tapu. The geothermal landscape around Rotorua is so unusual. Almost everywhere you look there are plumes of steam coming out of the ground and when you get closer, you can actually hear bubbling and belching as the air escapes from the hot mud. 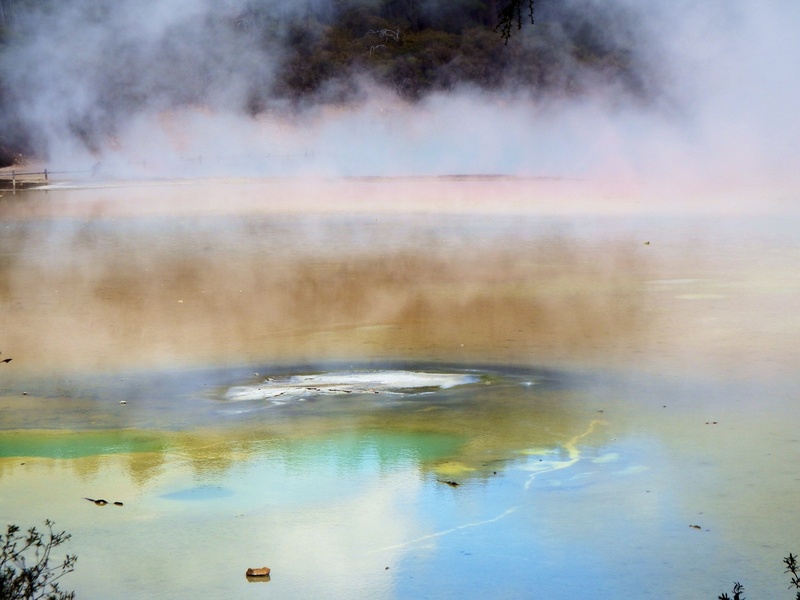 The hydrogen sulphide makes it smelly too – sadly for Rotorua, it’s a bit like rotten egg. On a Thursday night though, all that changes when you’re seduced by the aroma of hot pies, paella, crepes and cakes. All the local traders hold a market on Tutanekai Street. 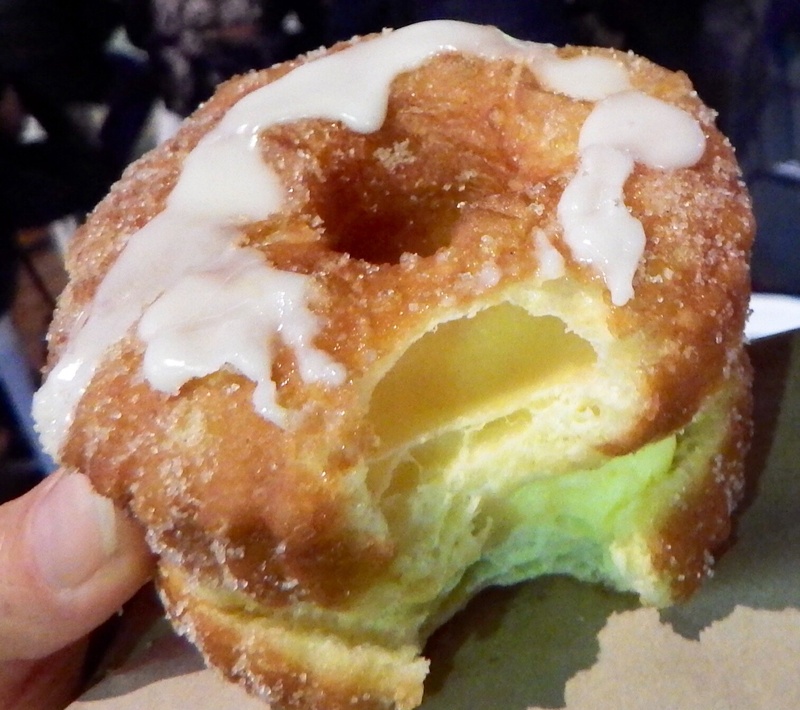 It’s where I tried my first cronut – a cross between a croissant and a doughnut. Delicious. It was time for more coffee and Wellington was the city that converted me to flat whites – microfoam poured over a double shot. Cuba Street was the best café spot for this taste of Kiwi culture. To learn more about Maori history, I spent twenty minutes inside a vault. I went to Archives New Zealand and scanned the faint signatures on what remains of the Waitangi Treaty. There was water by the door, so that people who believe in tapu could sprinkle themselves and leave the spirits of their ancestors behind. I was the only one inside that room and in those few minutes I felt closer to Maori history than I did after three hours at the Te Papa Museum (as brilliant as it is). I then carried on down to Parliament House and dipped into PMQs. The Speaker threatened to throw out one of the MPs. It seems that wherever you are in the world, it can always be a source of entertainment. 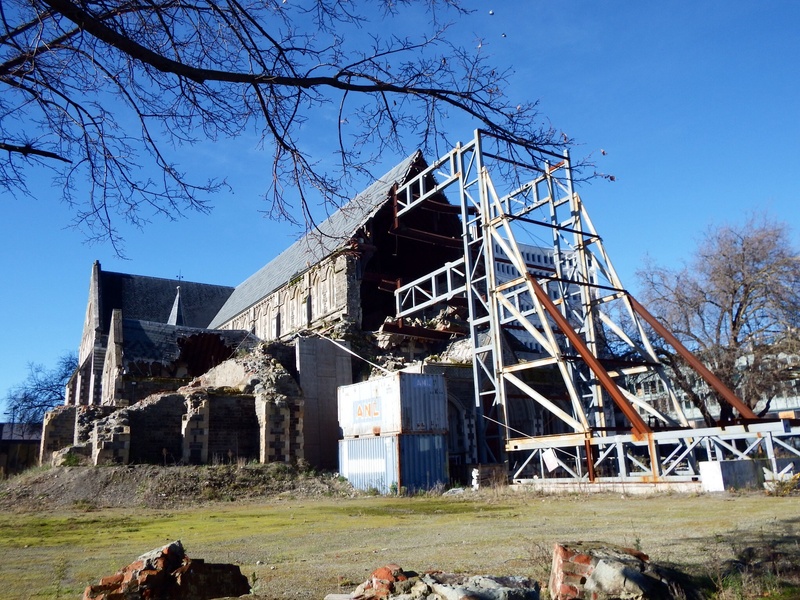 It’s been three years since Christchurch’s fatal earthquake. I was surprised to see the odd squatter hanging out in the remains of an old business block or bar which are still waiting to be saved or scrapped. It made me realise just how devastating the earthquake was. I was advised to skip this part of New Zealand because there was ‘nothing to see’. They were wrong. Beyond the bridges and between the broken bricks you can still see signs of a beautiful city and a visit to the brilliant Re:Start mall is time well spent and money well spent to help the city get back on its feet. 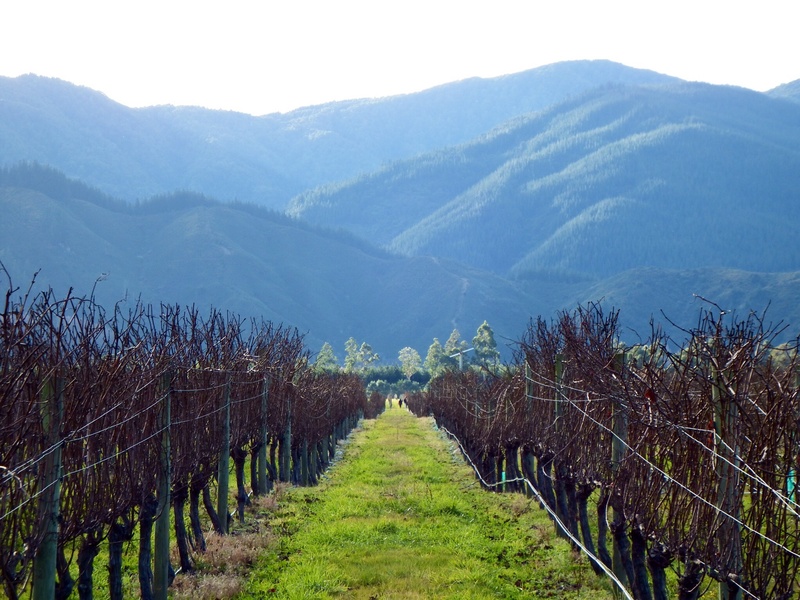 This is what a pit stop looks like in New Zealand. 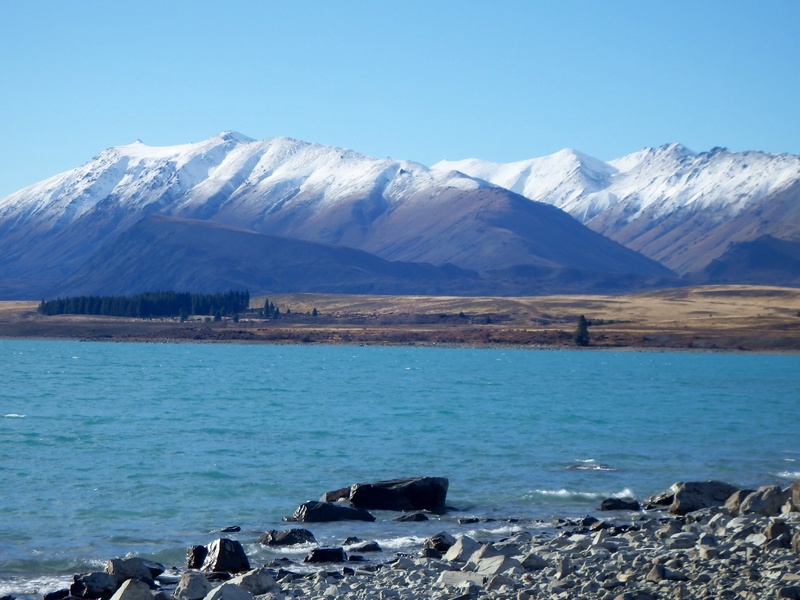 I thought that travelling by bus would limit my options in such a beautiful country, but as car park views go, this spot at Lake Tekapo wasn’t half bad. The drivers even point out landmarks or seal colonies for you along the way. 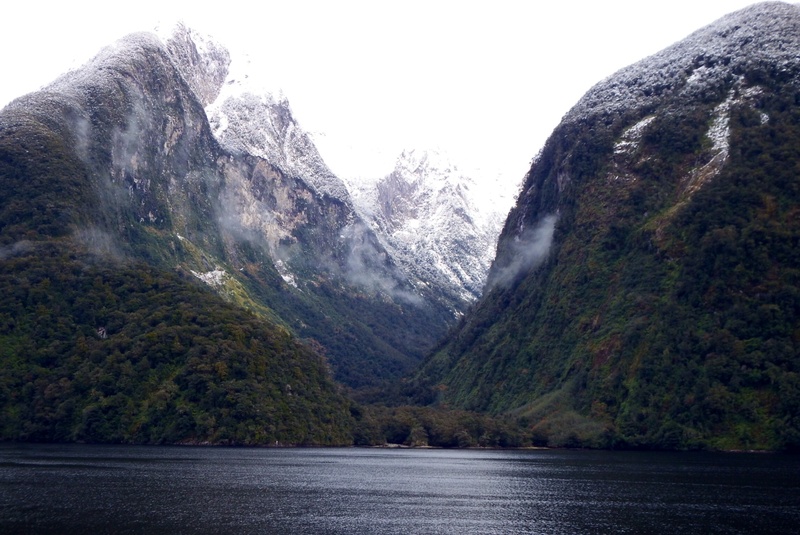 Doubtful Sound is one of New Zealand’s last remaining pristine wilderness areas. It took two coach rides, two boat journeys and about four hours to reach it, but it was totally worth it. 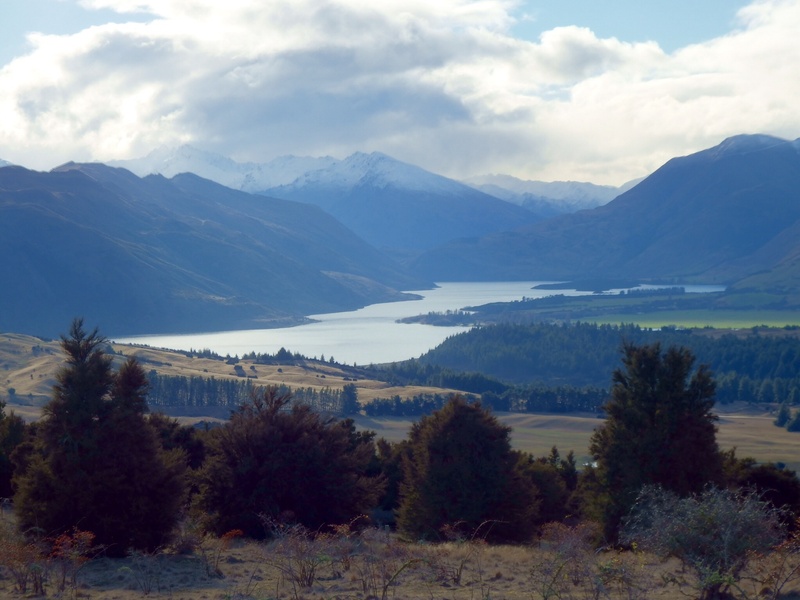 This is the view from one of Wanaka’s hiking spots – Mount Iron. The township is a more laid back version of Queenstown. I loved it. Sadly, no skiing at Cordrona because the weather wasn’t up to it, but that didn’t matter. I had a great time. This is because I was with a group of people who’d welcomed me into their homes. It wasn’t the first time either. Thanks to some friends in the UK, I met some legendary New Zealanders who went out of their way to help me make the most of my time here. What’s more, I’ve never been offered so many lifts by complete strangers who genuinely just wanted to help. Beautiful and hospitable. Unpredictable too – with it’s steaming pools, volcanoes and earth tremors, I felt like anything could happen at any moment. Sadly though, not a hobbit in sight.